Modern methods of Building Performance Evaluations (BPE), such as Building Use Studies, combine physical measurements with questionnaire-based surveys looking at the experience of building users. BPEs are widely portrayed as a modern practice that had evolved in the 20th century, but Dr. Schoenefeldt’s research has shown that an interest in evaluating building from a user-experience point of view has a much longer history. His paper will explore the role of the building user in the evaluation and design of the environmental systems inside the House of Commons. It focuses on a system developed by the medical doctor David Boswell Reid between 1847 and 1853. 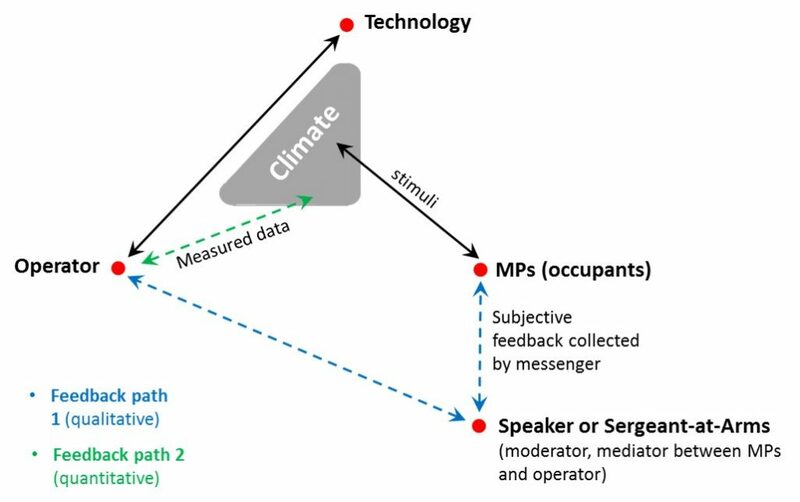 The paper is based on historic user-surveys, scientific reports and the engineers’ log-books, which were used to gain =insights into how Victorian engineers and scientists physically measured the climatic conditions inside the debating chamber and studied the MPs personal perceptions of these conditions. Despite extensive efforts to improve the design and management, the system never succeed in meeting the MPs’ expectations, an issue that finally led to its decommissioning after only two years.